I've recently been more and more involved in public speaking events. 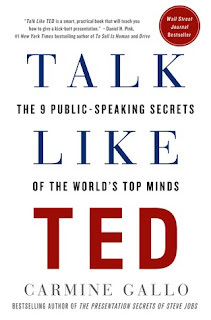 Eventhough I've read other books about the subject, I wanted to give Talk Like TED: The 9 Public-Speaking Secrets of the World's Top Minds a try. As you could expect, book was made interesting to read. It covered variety of topics related to speaking via TED talks. Some of the TED talks were familiar to in advance, but some I had to watch right away to get more understanding about those. The book is divided to three main categories: Emotional, Novel and Memorable. Under these topic book goes through all the important parts of creating a great speech. Book backs up the ideas with proper research and still keeps ideas easy and understandable. Ideas as such were mainly familiar to me, but it still was interesting to read more about those. Storytelling and emotionally appealing to the audience is difficult, but works really well. Keeping audience focused is always difficult and this book introduced some good ideas for myself for that purpose. As a Finn and European, I have to say that book is quite American. Having some experience on presenting in different countries, all the things don't work as well in different countries as they do in US. That's just a good to keep in mind, still the ideas are great and you need to find ways how to benefit those with your audience. Overall I really liked the book. 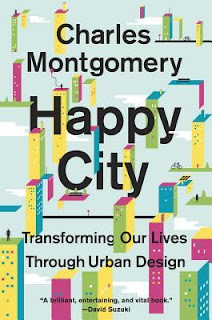 It's easy and enjoyable to read. It's full of great ideas and gives good tips for all presenters. I highly recommend to read this book,. Everyone will benefit from it.